A fine, committed performance (...). Ondine's sound is of demonstration quality. Recommended. Among present-day Scandinavian composers, the Finn Pehr Henrik Nordgren is clearly an important, urgent voice. (...) Disturbing, intermittently impressive music, excellently performed and vividly recorded. 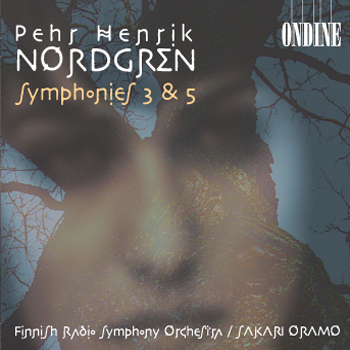 This CD features the Third and the single-movement Fifth Symphonies by Pehr Henrik Nordgren, one of the great symphonists of Finnish tradition. The works are performed by the Finnish Radio Symphony Orchestra under Sakari Oramo.